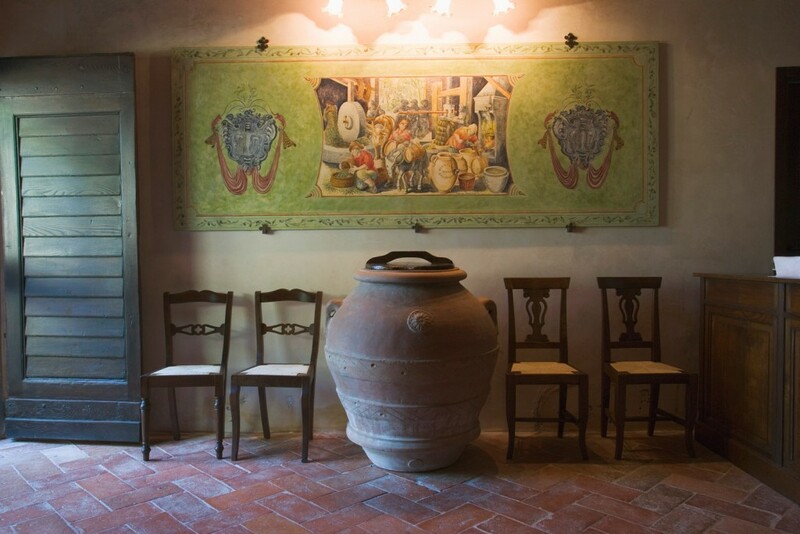 Here the privilege of living in the luxury of a Renaissance estate in the heart of Mugello is combined with the sensory pleasures that excellence in Olive Oil provides. 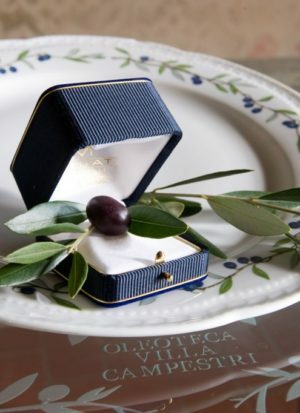 Would you like to know more about what is happening at the Villa Campestri Oleoteca? Continue reading and discover a new world beyond the boundary of taste. The sensory seminar in Oil tasting that we offer at the Villa Campestri Oleoteca revives traces of a forgotten age-old culture which now flourishes thanks to the studies and perseverance of the owner of Villa Campestri, Paolo Pasquali. During the seminar you will learn how to smell, taste, and observe in order to discover the incredible flavors of fine Olive Oils. You will learn the true meaning of “extra virgin” as well as how to describe it correctly with terms such as “fruity”, “bitter”, and “spicy”. You will discover how to recognize a defective Oil from a good one as well as how to correctly combine specific Olive Oils with different foods in order to transform a simple dish into something extraordinary. Simply by using the right Oil. During the oil tasting seminar as well as in the L’Olivaia Restaurant you may happen to notice an interesting dispenser. This dispenser is OliveToLive – a patented apparatus created by Paolo Pasquali that preserves the organoleptic properties of Olive Oil so that its flavor will always seem freshly pressed. 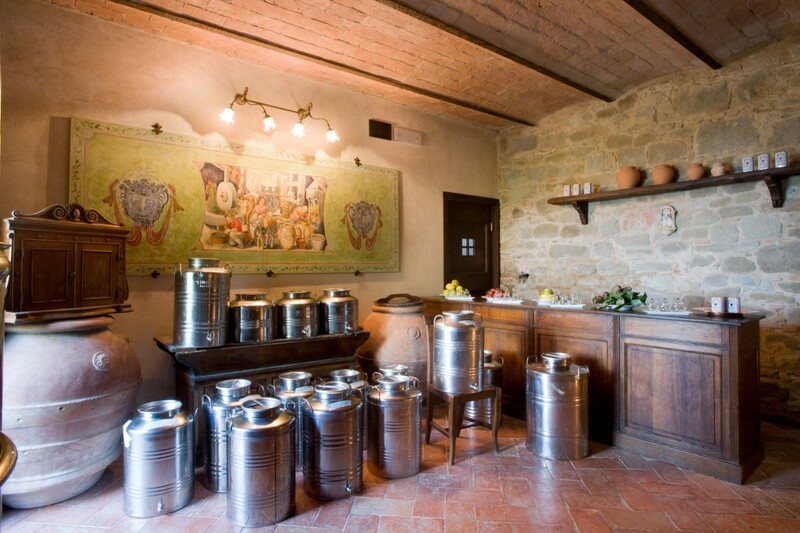 This exclusive system of Olive Oil preservation can be found in the most exclusive Restaurants of the world. It is quickly becoming a worldwide treasure chest of quality Olive Oil. 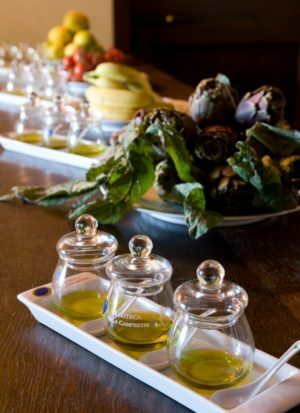 After you have learned to appreciate the sensory properties of Olive Oil in the Oleoteca, you can continue your journey into the culture of Olive Oil by savoring the dishes of our Restaurant L’Olivaia. Here you will find menus that only offer excellence. Would you like to take a look at a menu? How about Fresh Nettle Dumplings with Cosimo’s Olive Oil served on a fondue of grana cheese or Fan-shaped Duck Breast playfully prepared with 3 different Olive Oils and caramelized shallots? 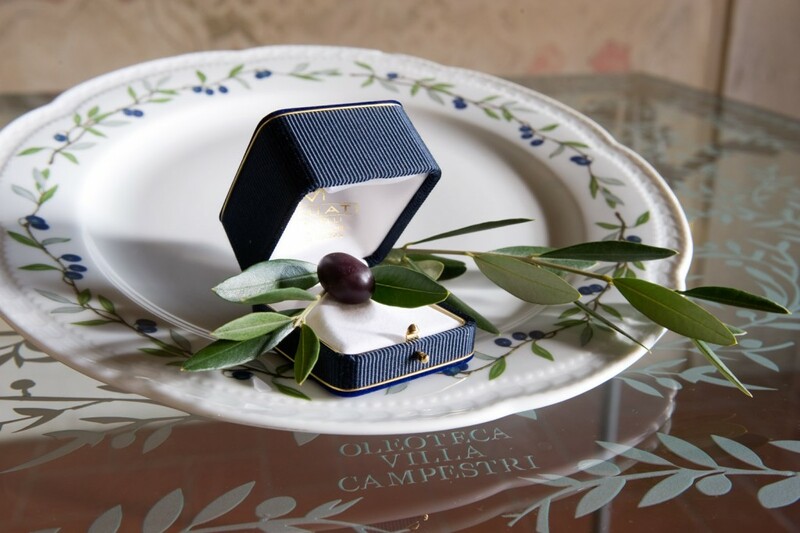 Complete your full immersion in the world of Olive Oil with a visit to the century-old olive grove of the Villa. Our Olives are cultivated organically; they are hand harvested and then crushed the same day in our Oil mill. Would you like to sample this special experience? Take a glimpse of our shop online. 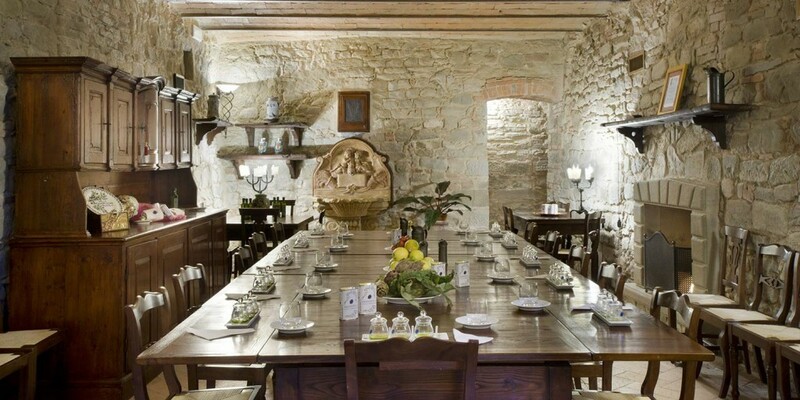 Our Villa Campestri Olive Oil Resort is set in the Mugello valley in Tuscany. The Resort is designed to offer guests a journey through the culture and the world of Olive Oil, declined in the many dishes that L’Olivaia Restaurant composes. 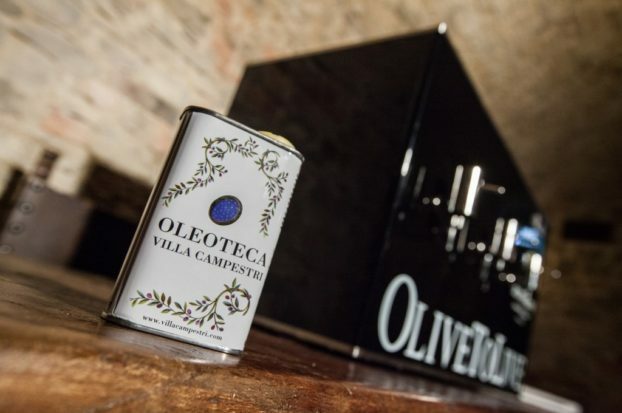 If you make reservations now for an unforgettable vacation on the gentle Tuscan hills and a sensory olive oil tasting experience, you will receive a 250 ml can of our Olio di Cosimo. 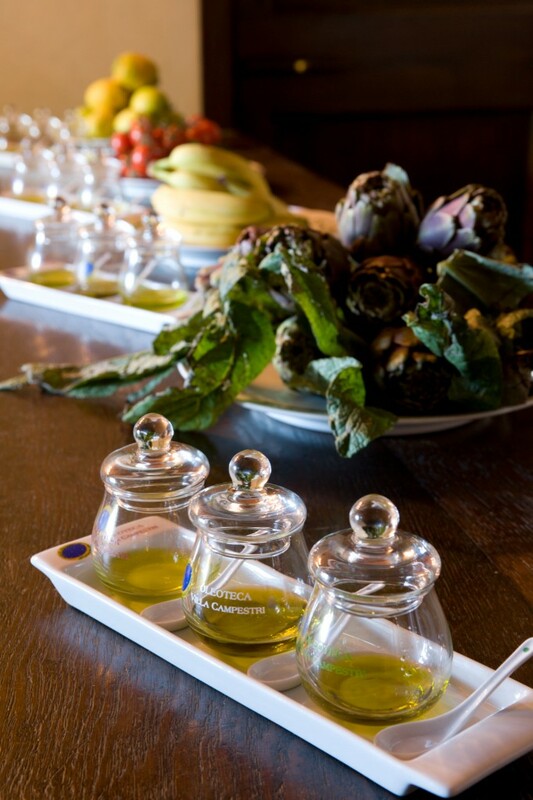 Please insert the following code – #degustazioneolio – when you make a reservation for the Extra Virgin Olive Oil Tasting Seminar. 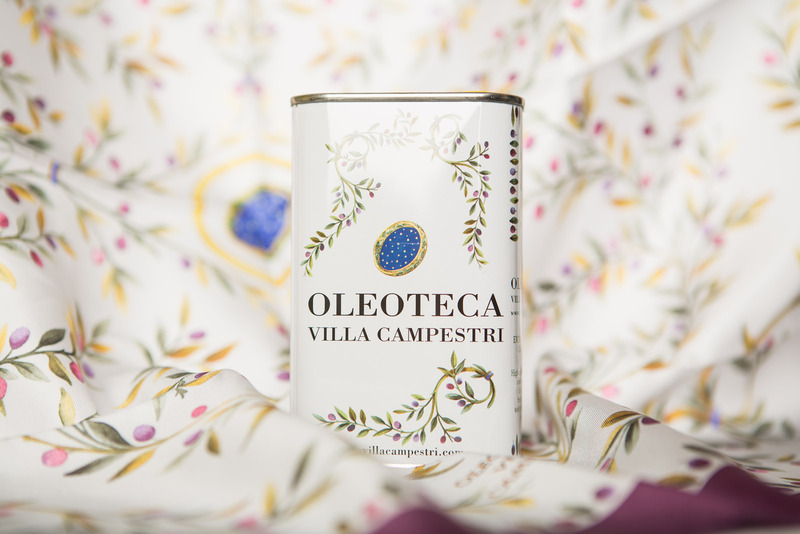 The Oleoteca Villa Campestri awaits guests in order to release the vital energy of the Oil and make the experience more sublime.